4 Hr: $18.00………. 1 Day: $23.00……. 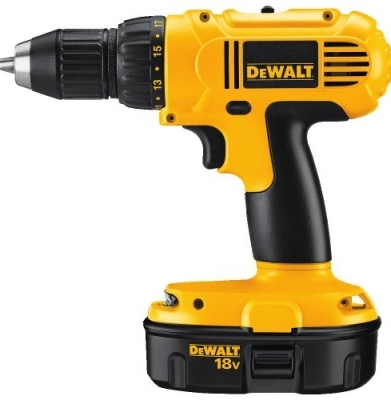 1 Wk: $69.00….. 18 volt cordless drill. 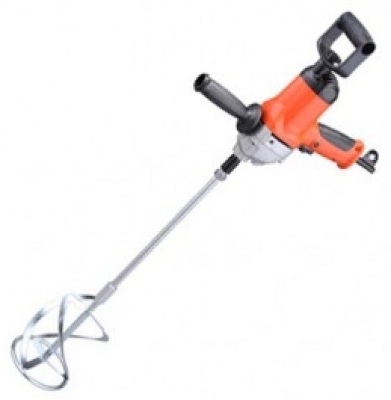 Variable speed and reversible. Comes with two batteries and a charger. 4 Hr: $16.00………. 1 Day: $21.00……. 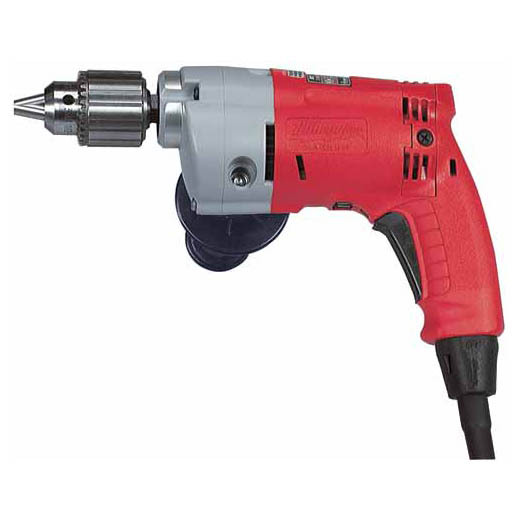 1 Wk: $63.00….. Standard 1/2″ drive drills. 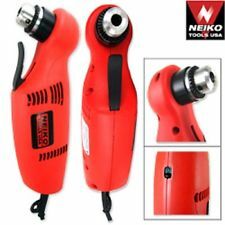 Can be used for drilling or driving screws. 4 Hr: $55.00……… 1 Day: $80.00…….. 1 Wk: $320.00….. 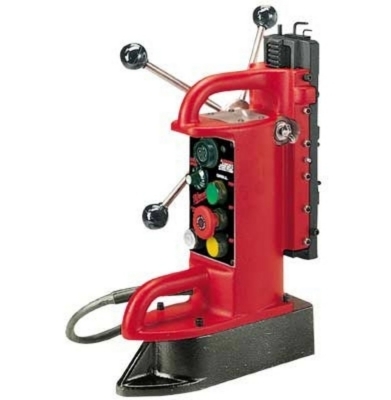 Designed specifically for securing itself to overhead or vertical steel beams. Unit weights 70 lbs. Drills with standard shank bit. 4 Hr: $21.00………. 1 Day: $31.00…….. 1 Wk: $93.00….. Ideal for drilling in between joices. Powerful 7.5 amp motor. Great for drilling with bits that require more torque than standard drills such as paddle bits, self boring or auger style bits. 90 degree right angle allows for maximum leverage. 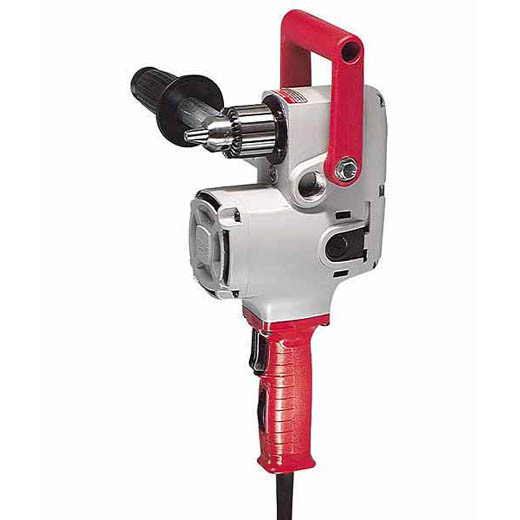 4 Hr: 18.00……….. 1 Day: $23.00…….. 1 Wk: $69.00….. Works well for drilling in areas where standard drills wont fit. Uses 1/2″ chuck. Accepts any standard drill bit. 4 Hr: $16.00………. 1 Day: $23.00…….. 1 Wk: $69.00….. 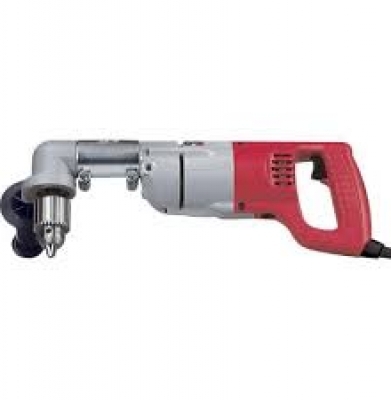 Available in either a angle or a right angle drill. 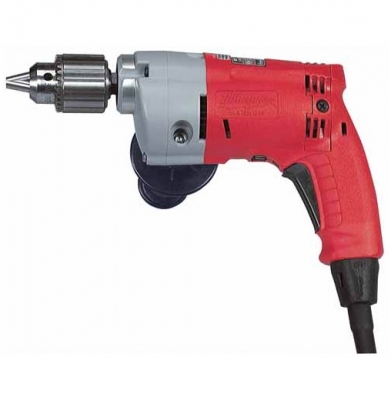 Perfect for drilling in small areas where standard drills wont fit.